We found 100 results matching your criteria. 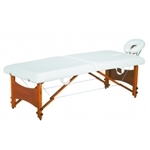 It is essential for a massage therapist to have a proper work station whether it is stationary or portable. 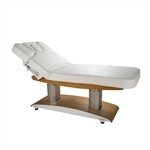 Check out our collection bellow for the perfect massage bed for your practice. 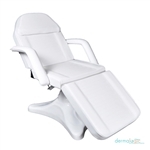 If you need something for a permanent setting then check out our hydraulic and electric massage tables, ideal for such setting as spas and clinics. Source One Beauty can also help you to equip yourself with everything necessary to provide the best massage experience for your clients. Our portable tables are ideal for traveling therapists and those concerned about space. 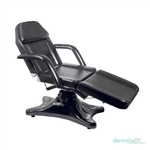 Accessories such as carrying cases, adjustable face cradles and headrests, armrests and foot rests are available with many of our featured chairs and tables.